CAPS will be starting a new group, Naan-Stop Conversation with South Asian American Women, during the Winter semester, which will be facilitated by Nidaa Shaikh, PsyD. This group is for self-identified South Asian* American (SAA) women who identify as 1.5 generation** or 2nd generation** immigrants. CenterSpace provides a weekly drop-in space for different communities within queer life at the University of Michigan. CenterSpace creates space for people of similar identities to gain support from one another while building a community of collective resources. There will be a CenterSpace host each evening who identifies within the community being centered. The host will greet participants, guide the conversation, answer any questions, and gather/share resources. DITTO - "it's not just me"
You're not the only one living with a chronic medical condition. There are other people out there just like you.  We are Ditto - a platform that connects people with chronic medical condition(s) with those living with the same condition and we're piloting on the University of Michigan campus. We want to match you up with others like you and cover your coffee. New to campus? Looking to find and build community with other LGBTQIA and similarly-identified students? Want to know more about the Spectrum Center and how we can make your college experience even better? Check out FreshSpectives! CAPS offers a number of undergraduate and graduate groups, which meet on the 3rd floor of the Michigan Union. Starting dates for the groups vary, but typically begin 3-5 weeks after the start of the semester. Open to everyone, groups are free for U of M students. Click on the link below to get the details! This group with use Black media and art of interest to group members (e.g. Beyonce's LEMONADE, Issa Rae's Insecure, Hidden Figures, Poem by Nayyirah Waheed) as a catalyst for discussion. We will process our experiences of pain, joy and resilience. We weill utilize our collective wisdom to help each other cope, heal, grow and thrive.